There’s no conflict between the three legs of Reagan Conservatism, in spite of the confusion surrounding contraception and homosexual “rights” we witnessed during the New Hampshire debates. 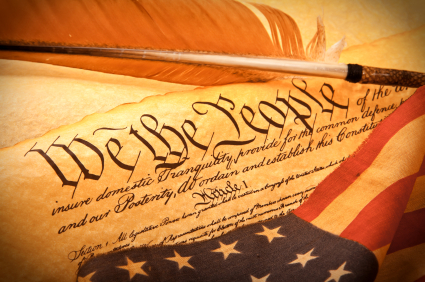 Social issues such as the right to life and traditional marriage are equally compatible with small government and States’ rights as National security and fiscal responsibility, just as the Declaration of Independence is compatible with the 10th Amendment to the US Constitution. Conservatives agree that the best government governs least, but we don’t forget that there is a proper role for even the Federal government. Unfortunately, the Left, Right and middle all manage to stir up, not only the divide between Libertarians and Conservatives, they also exaggerate conflict between socially conservative Catholics and Evangelicals who agree on the definition of marriage and that life begins at conception, but disagree on whether or not true contraception is ethical. Abortion, medicine and research, which result in the destruction of embryos or fetuses, infringe on the right to life by causing the death of a human being. (See “Why Ethics.”) In contrast, true contraception prevents conception without endangering any human life. Therefore, unlike abortion, it does not infringe the right to life. Marriage, as a public institution, is not merely a means to insurance and legal benefits. The definition of marriage predates the Constitution and goes far beyond culture, religion or National boundaries. Marriage affects the stability of the family and the well-being of both children and the husband and wife. (There’s strong research supporting the latter.) We define and defend traditional marriage in order to secure liberty and the pursuit of happiness.